Skateboarders are experimenters. They use skateboarding physics to pull off all of their tricks. They do the math without even knowing it. During my skateboard lessons I teach using a method of trail and error. I go into detail about that method in this article. The physics of any skateboard trick can get pretty complicated. Don't worry about the equations and numbers too much. Worry about the feel and timing of skateboarding. The only thing you need to know is that the skateboard is really light compared to your weight. This difference makes it easy to kick and toss around the deck any way you want. A full size skateboard weighs about 2lbs[1 kg] with most skaters weighing near 150lbs[68kg]. Even the littlest skaters are 50 times the weight of a skateboard or more. Believe me, even the little guys can do all the airs and flips like the full grown skaters do. I see it often. This means that the tricks you do are not limited by the weight of your skateboard. Things are certainly easier with good equipment and some skateboards are huge boats. Even then, no excuse can be made about not being able to flip the board because it is too haevy. Knowing this will make it easier to do most flip tricks. Popping the board, scooping and flicking are all pretty subtle moves that take a lot of practice and fine tuning. When a skater gets a trick they need to be very disciplined when they do it. Each move is really precise. The amount you push or flick affects the trick in a big way. The tendency with flip tricks is to kick super hard to get it to spin. The more you try a trick to more frustrated you become and the harder you start flicking it. Happens all the time. This makes the tricks much more difficult then they need to be. Plus you tire and frustrate faster. A light flick simply works better. A relaxed flick is way easier to do than a full on throttle of the board. When trying a new trick you will need to kick hard until your muscles get used to the movement. If you are skateboarding regularly then it won't take long to get your muscles used to flicking. Then light flicks will feel right, especially when you start landing tricks, then it really feels right. Use a relaxed, light touch or a cocky skating style [not a cocky personality]. This makes it easier to land tricks. When you relax you skate better. Try it out. Skate around with confidence and see how it improves the landing of your tricks. So next time you are super frustrated trying a new trick and get tense. When you start kicking super hard and not pulling it off. Take a second and pretend you can already do the trick. Then go back, kick lightly, much more lightly then you feel you should. When doing kickflips try and only kick a half a flip. See what happens. By kicking only half a flip something strange happens. When you flick, the board actually does a whole flip and it is easier to land. Try it, it works. This still surprises me and I have been doing it for years. It works for many flip tricks. Lighten the flick and things actually work better. Tthe timing, pressures and techniques needed to skateboard is a very sciency thing to do. Each trick attempt is an experiment just like in the lab. The trial and error and retrying of tricks is what scientists use. The process scientist’s use is so important it has its own title. 2. See how it is done. You plan, try a trick, think about what you did, alter the technique and try again. That is the same thing do to cure cancer or any other successful person does to solve a problem. Skaters spend most of the time in the try and retry part when learning tricks. They are very driven with this. Otherwise they wouldn't learn any new moves. If you have ever watched a skater trying to pull a trick and missing you will know what I mean. They try and fall and the board flies away. Over and over again. It looks like nothing is happening. Just flying boards and a frustrated skater. But once they get close and land it. The trick looks so well thought out. This is because they have followed the process. 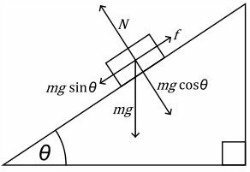 Skateboarding and physics follow the scientific method very closely. Learning to skateboard gives you all the skills and patience, analysis, planning and execution that you use in school or work. Mention this to any grumpy adult if they give you flack about being a skater. I do and it usually shuts them up pretty quick. Skateboarding is just way more fun than a structured science experiment. And you never have to write a report about it. With skateboarding and physics you just skate and land tricks. That covers pulling a trick. Now lets see how skaters use skateboarding physics to zoom and fly onto and over things. Timing the speed and the height of a trick. You are rolling on your skateboard all the time. It takes physical reasoning to figure out how fast to go and how much time it takes to do a trick. i.e skateboarding physics. 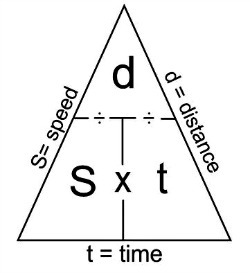 The speed=distance/time knowledge is the math of skateboarding physics. All skaters use it for every trick, every move. This essential skill always get missed because they can't be seen like other tricks. Judging the speed it takes to do a trick and the time it will take to set-up are major keys to be mastered. They are essential to everything you do on a skateboard. Until you figure out how fast to go and adjust you will always have trouble doing tricks. It will always be too fast to land, too low to clear to gap or not enough time to get ready. This planning is done before you make the trick attempt. The skater will look at size of the obstacle then judge the speed and time needed to get their feet in the right place. They guess the speed and height they will need to make the trick. Adjusting the distance or acceleration they will take before the trick. All while getting ready to go. The s=d/t knowledge is crucial to every trick. That is skateboarding physics in practice baby! These calculations usually happen before they even start rolling. An experienced skater will know the speed and timing needed for most tricks and adjust as they are rolling. Stringing tricks together in a line. Calculating what is needed each time. Eventually being able to feel to proper speed while skating. This feel for things takes experience to develop. You need to know your abilities and what is needed for the different types of tricks. Each trick you learn will be different. Every time you start a trick you will combine skateboarding physics to learn the technique to land it. The calculations you do while flowing around a skatepark are constant and vital to landing your tricks. To ollie onto a curb you will need to know how fast to go to clear the curb, how much time it will take to get that speed and then get you feet in place for the ollie. Then you need to do the ollie, lastly you need to roll away to land the trick. When doing flip tricks you need to pop an ollie that is high enough for the board to make the flip. Judging the speed, timing and setup needed to do an axle stall is a lot different but the process is the same. How long in time and distance will it take to set up my feet? How long do I need to be in the air to pull the trick? How high do I need to pop? Where should my weight go? This is math you really begin to feel. The skateboarding physics process is the key to good flow and deep bag of tricks. All skaters get good at it. Skateboarding physics is the fundamentals and feel you will develop when you focus on learning these basic skateboard tricks. Getting the feel is the key to pulling all the hot tricks over gaps and garbage cans and onto ledges and rails. Skaters are all over skateboarding physics, without even knowing it.